What is the coolest thing that you built ALL LEGIT? I was originally going for "Mumm-Ra's Lair" and it turned out like this. The pyramid itself caps a 50x50 hole that goes to bedrock. The interior is currenntly unfinished, so pictures for that yet. An entirely solo effort and with right around 4,000 obsidian, for the curious. Recently, I made a Duke Nukem pixel. Just over 4,000 obsidian for the outline, because that's how I roll, and about 10K wool. Took about three months working at it off and on, most of the time spent on obsidian collection, heh. Nice! Did you use an obsidian generator or something? DungeCraft Season 5 has begun! FTB Monster baby! Laid out a checker pattern in some ground, gathered lava and poured it in, then made and mined obsidian. Wash, rinse, and repeat about a million times, heh. Ok well If I knew how to import screen shots you would be able to see it. However I appear to be dumb on this subject. In any case It's a 1:1 scale re-creation of the old D&D Temple of Elemental Evil. If it were real it would the about the fourth largest cathedral in the world. I used an editor to flatten the land (Was a pretty good sized hill in the back and I hate moving dirt). However the the rest was all dug, collected, and created without editors, 100% legit. 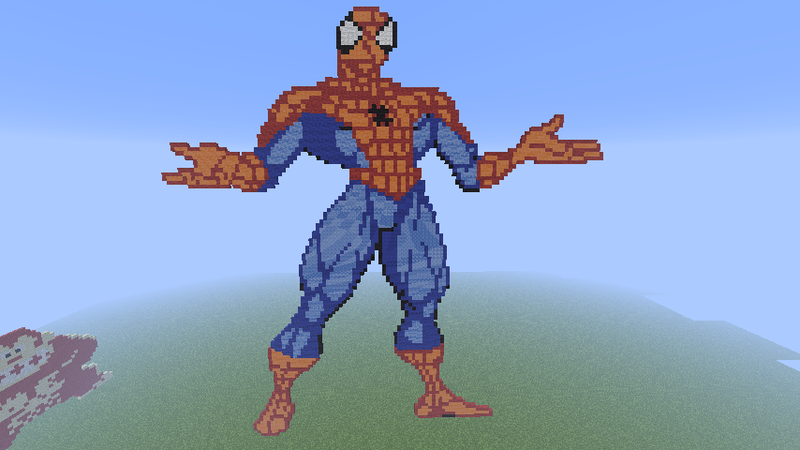 I'll never make anything that big ever again. P.S. if any one wants to take pity on me and explain how to post a pic on here. Be very great full. To post a picture go to imgur.com and hit upload picture, it takes about 2 seconds to load then you copy and paste the BBC forum link and thats how you upload a picture! You don't need an account or anything. This weekend I might be doing a video about my world! Woah! That's awesome! Was it all legit though? Wow! You must have LOTS of spare time. It looks fine! Don't sweat it! I put it in my geothermal generators, which produces energy for my machines. =D In tekkit a lot of stuff like furnaces and other things run on electricity. One thing I found though is I need to make this system WAY larger. I run out of energy rather quickly even with 2 million in storage! Woah. That must take up like a 1,000,000,000,000 pixel (block) area! I'm not much of an architect, so the most impressive thing I've spent time on building was back in 1.7 beta, where I built a beachside house with a 5-block-deep moat, a roof with 4 posts full of torches on each quadrant of the floor, and a giant netherrack monument that goes up to the sky and has fire burning on the top for easy discovery of my home in case I get lost (this was before I found out about the minimap mod). 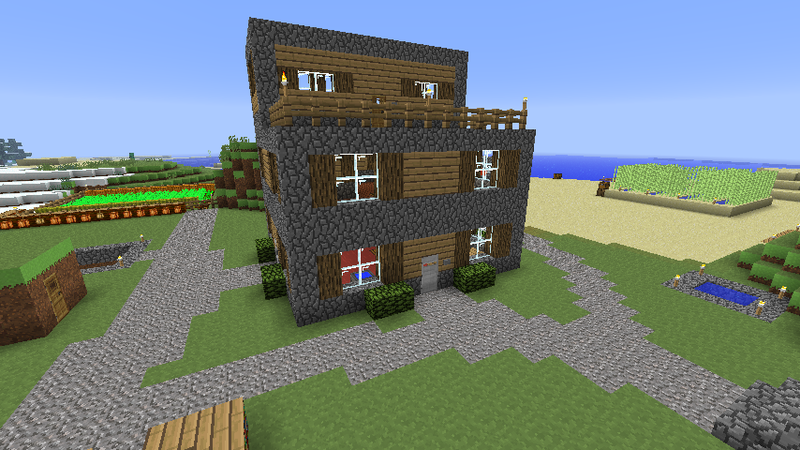 The interior had 4x4 windows on every wall, sandstone floors, glowstone on the ceiling, chests, crafting tables & furnaces in one little area against a wall, stairs leading up to the roof and a hole that connects to the mine I was getting my resources from. The front door had a bridge over the moat, and I had 2 side doors: one led to the dock I built that extended into the ocean, another lead to a glass platform above the ocean that held a nether portal at the end of it. I'm a Java programmer, and I'm a terrible artist. Anything else, just ask me. I'm with you but I'm starting to be more legit now. I build a small pagoda city, then I moved the villagers (via an underground railsystem) into it! Plant Life, Trees, Flowers, Food and Farming! Pam's mods. Varying degrees of legitimate, I hardly ever build non-legit because I don't get that feeling of pride standing back and looking at it. 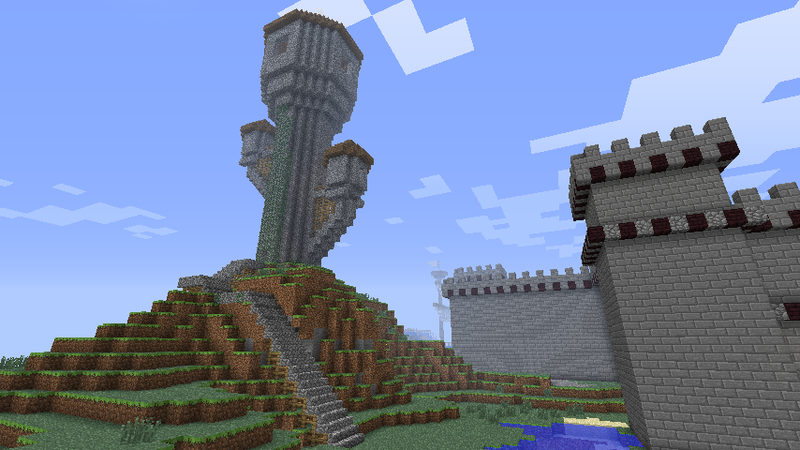 (some servers buying materials and whatnot...) but I've made several castles, including one where I extended a village outward significantly and gave each house some flair, then built a MASSIVE sky castle that towered over it. Still say that was my best build. 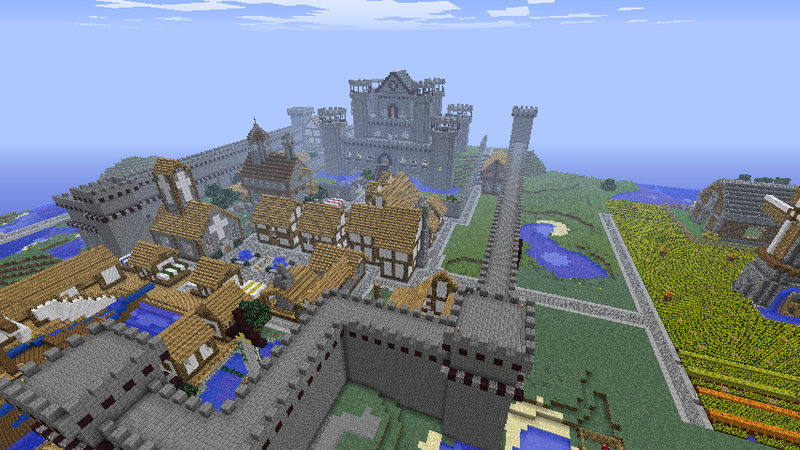 I'm about 30% through my extremely epic Minecraft castle project! I will make a new post about it! 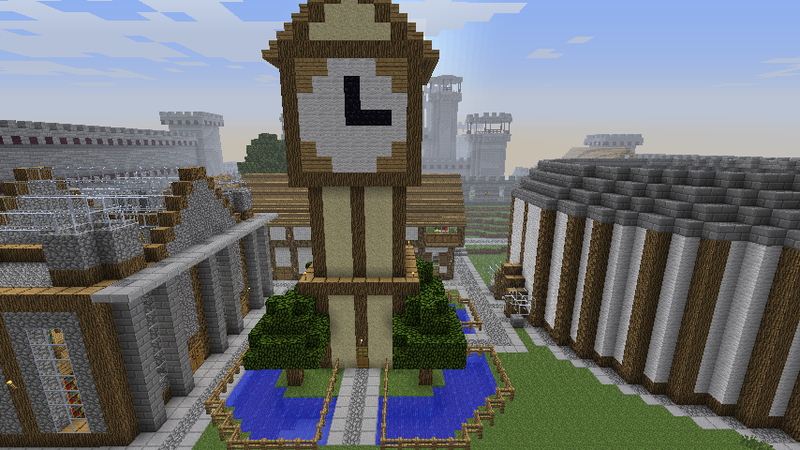 Been working on this city on a vanilla survival multiplayer server. Definitely would have been grander if I did it in creative, but there is something satisfying about collecting everything and needing to mine. I'm making something like that in single player now! Too bad once I deleted my whole minecraft folder to clear it out without keeping any of the screenshots, but I might have a save backup somewhere. I have found 2 slime chunks really close to my base! I have mined it out and now I am a creating a tunnel on the wall that is next to the tunnel that leads to mob spawner. I am really happy that I actually found a slime chunk, as will use it for a piston elevtor. I might remove my stone brick tower. Good idea? Wow, another awesome thing by you! So I went and rebuilt the entire shop with planks, gave it proper windows(instead of empty frames), replaced most of the torches in their exact spots( a few might be a square or two off),built a ladder to my house then one up to its roof and built a nether portal on the roof. TerraBad the worst the world has to offer.